Every capital city in Australia apart from Canberra saw property prices fall month on month in January with only Hobart, Adelaide and Canberra recording annual growth, the latest index shows. Overall, nationally prices fell by 1% month on month and are 5.6% below a year ago at a median value of $528,553, but Sydney and Melbourne are seeing significant price falls, according to the CoreLogic home index. Prices have not fallen cumulatively by 6.1% since the market peaked in October 2017. The national index has fallen over 13 of the past 15 months and national dwelling values are now back to levels last seen in October 2016. On an annual basis prices in Sydney at $795,509 are now 9.7% below January 2018 and fell 1.3% month on month while in Melbourne they were down 8.3% year on year an d 1.6% month on month to $636,048. Prices fell by 5.6% year on year in Perth and 1.1% month on month to $441,920, in Darwin they fell by 3.5% on an annual basis and 1.7% month on month to $412,933 and in Brisbane they were flat year on year and down 0.3% month on month to $494,345. Adelaide recorded a small annual rise of 0.9% but month on month prices fell by 0.3% to $430,711. Hobart has the biggest annual growth at 7.4% but even it saw prices fall by 0.2% month on month to $457,785. 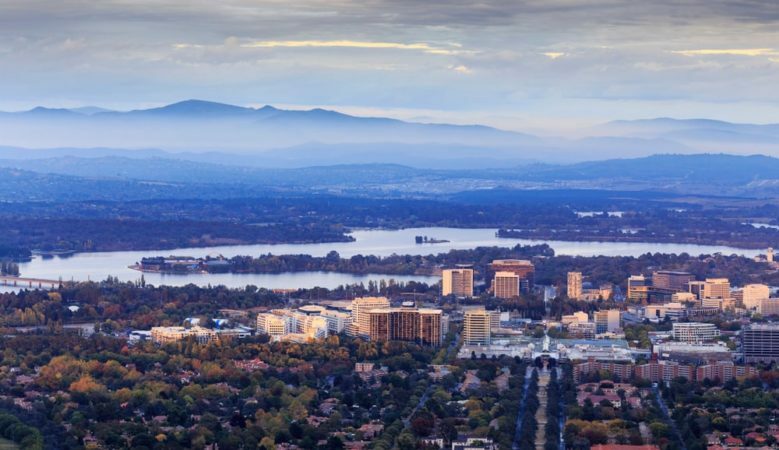 Canberra was the only city to see growth on an annual and monthly basis up 3.8% and 0.2% respectively to a median price of $596,933. And in regional Australia prices fell by 0.8% year on year and were down 0.2% month on month. The report points out that prices have fallen by at least 1% on a monthly basis in Sydney and Melbourne each month since November last year. Both markets have seen an acceleration in the rate of decline over the past three months, with the rolling quarterly fall tracking at the fastest pace since the downturn commenced. Sydney dwelling values were down 4.5% over the three months ending January 2019 and Melbourne values were 4% lower. The latest results take prices in Sydney back to levels last seen roughly two and half years ago in July 2016. In Melbourne, where the market peaked four months later than Sydney, dwelling values are back to January 2017 levels. While values aren’t falling across every broad region of the country, even within the areas where values are rising the market has lost steam, the report also points out. The only regions where the annual change in dwelling values has improved are Darwin, where the annual rate of decline has eased from 9.7% a year ago to 3.5%, regional Tasmania where the annual rate of growth has risen from 4.9% a year ago to 9.2%, and regional Northern Territories where the annual decline of 1% has improved to an increase of 1.1%. The record volume of new homes built over the past four years is one of the reasons house prices are returning to more affordable levels, according to Tim Reardon, principal economist of the Housing Industry Association (HIA). ‘There are numerous factors impacting the housing market at the moment, including a credit squeeze created by restrictive lending practices, but the overwhelming impact on house prices over the past year has been the record volume of new home building. Housing affordability is about supply and demand and for most of this century there have been constraints on new home building that have limited supply and forced up prices,’ he explained. ‘These constraints on new home building are why Sydney experienced 19% house price growth in a single years and 82% in six years to the end of 2017. Since 2014, Australia has built an unprecedented volume of new homes and we are starting to see affordability indicators improve,’ he pointed out. ‘More important than house prices, the stalling of rental price inflation over the past year is the most important indicator that tells us that the pent-up demand for new housing in Sydney and Melbourne has now been met by a record volume of new housing. There have now been 14 consecutive quarters where rental price growth has been below inflation. This is great news for renters. While population growth remains solid, the slowdown in building activity that is underway will remain modest,’ he added.